All Totes and Bags are made from heavy vinyl material that lasts, Our bag has 10-pockets that measure approx. 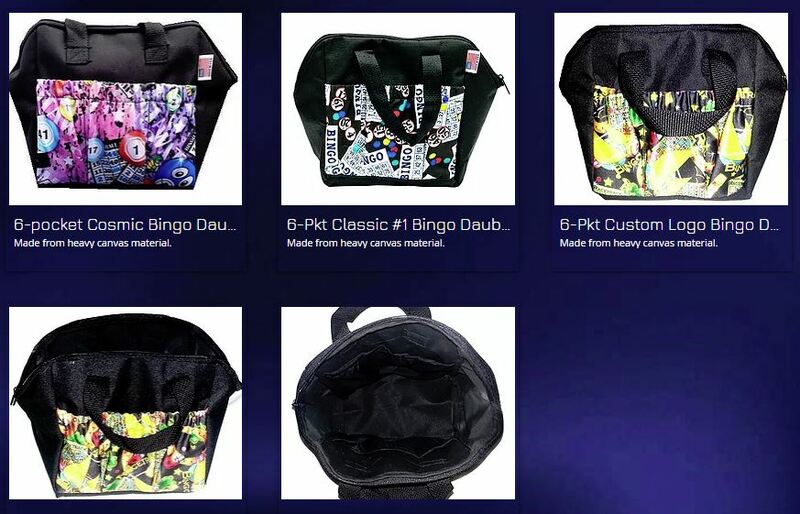 6.5″ deep and measures around 22″ with plenty of room inside to carry all your lucky bingo items. 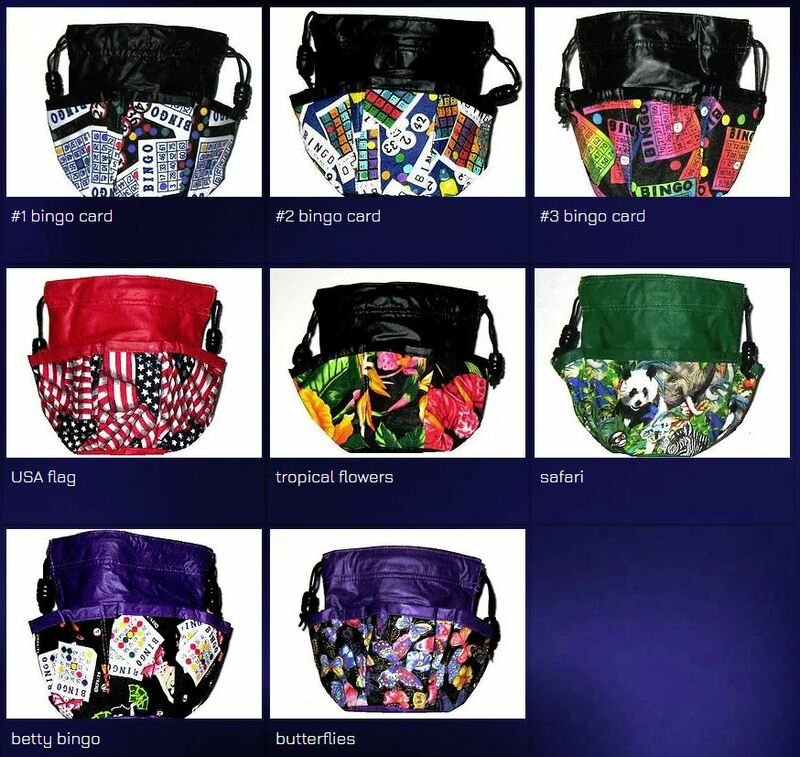 Our bag includes a matching coin purse for your chips and winnings, our bag features 10/dauber pockets to hold all daubers and 1 large pocket to hold cell phone and keys. Our designer bag also has double nylon cord that is the sturdiest of them all. Bead knobs for accents. What you see in pictures are what you get. Quality and value are in the bag. 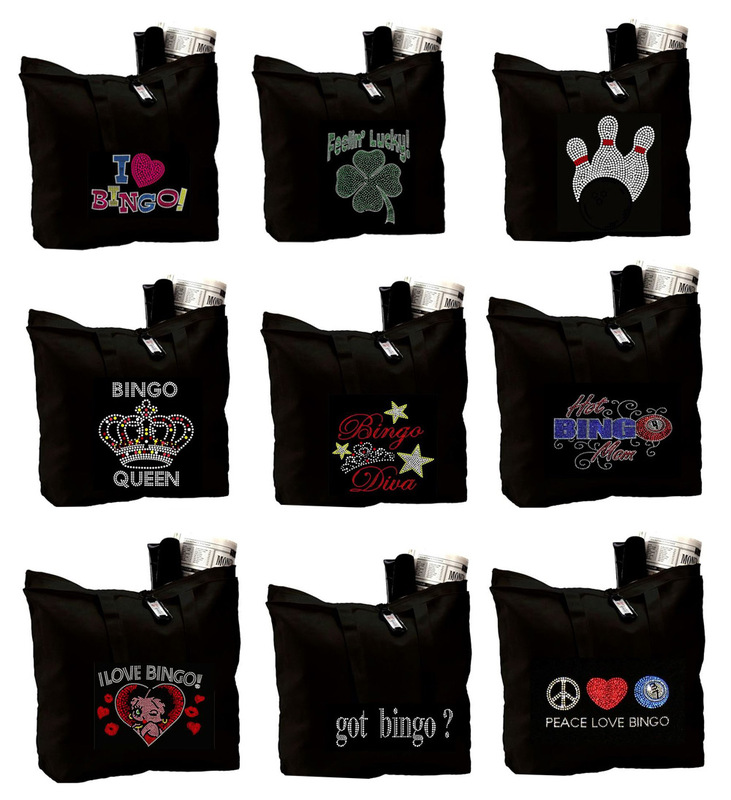 Patterns: See more rhinestud appliques on our Bingo Bling Tees page. 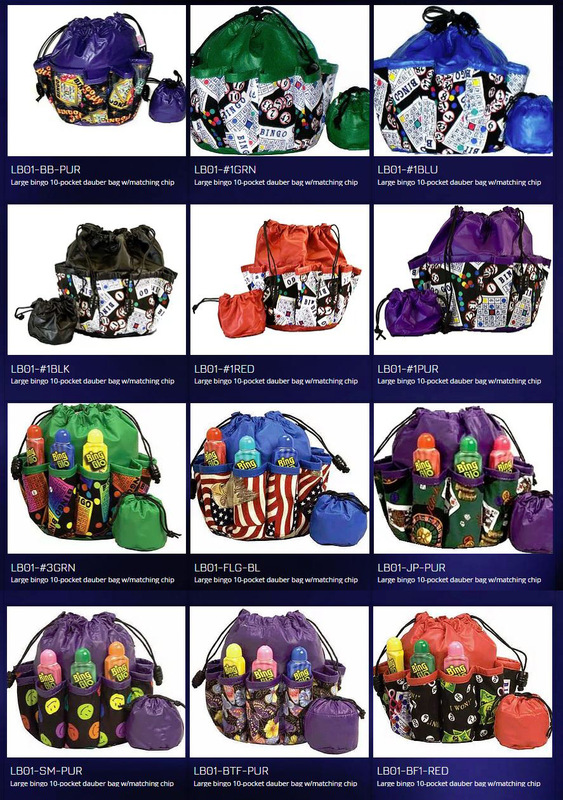 All Totes and Bags are made from heavy vinyl material that lasts, Our designer bag also has double nylon cord that is the sturdiest of them all. Bead knobs for accents. What you see in pictures are what you get. Website created by: Bizness Concepts, Inc.